In Canada, an estimated 7.5 million people live with hypertension, or high blood pressure. Though high blood pressure is very common, easy to diagnose, and treatable, many people don’t even know they have it. It rarely has symptoms. But when left untreated, it can do damage to the arteries and increase your risk of developing serious illnesses, including cardiovascular diseases—heart attack, heart failure, and stroke. How? Hypertension puts additional pressure on the artery walls. This pressure can result in tiny tears in the arteries, which later turn into scar tissue. Scar tissue acts like a lattice, accumulating passing particles of fat and cholesterol and other substances carried in the blood. Together, these particles form something called plaque. Over time, plaque accumulates and hardens, forcing blood to pass through a narrower and narrower space. The result? Your heart has to work much harder to circulate blood, putting you at risk of blood supply failures, blood clots, heart attack, and heart failure. But in addition to the damage hypertension causes to your circulatory system, your organs may also suffer damage. High blood pressure can ultimately contribute to other health conditions, including erectile dysfunction, kidney disease, eye problems, and dementia. As with many health conditions, you can’t always control whether you will get high blood pressure. You can’t do anything to change your age, family history, and ethnicity—risk factors which contribute to hypertension. However, there are lifestyle changes you can make to significantly reduce your risk of developing high blood pressure over time, or even manage prehypertension or hypertension that’s already been diagnosed. When it comes to preventing hypertension, your weight and Body Mass Index (BMI) are important factors. If you’re overweight or obese, losing weight is crucial. Even losing ten pounds can help you to reduce your risk of high blood pressure and related health conditions. If you’re a healthy weight, you should try to maintain your weight by exercising and eating a well-balanced diet. Figuring out whether you are within a healthy weight range is easy—simply use his Body Mass Index Calculator from the Centers for Disease Control and Prevention. 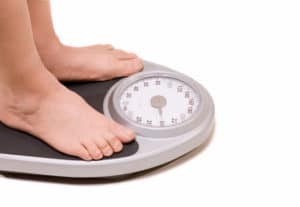 Input your height and your weight, click calculate, and the results will inform you whether you’re underweight, healthy, overweight, or obese. It’s a good idea to talk to a health professional, such as a doctor, nurse, or dietitian, if you have questions about losing or maintaining your weight. Ensure you eat a varied, balanced diet. What you eat can affect your blood pressure over time. In fact, studies have shown that dietary fats can increase the risk of cardiovascular diseases, while other nutrients, such as potassium, can actually help lower the risk of hypertension and stroke. Eating healthy is one of the most powerful ways to keep your blood pressure in check. That means exchanging fried, processed, salty, sugary, and fatty foods for fruits and vegetables—especially those rich in potassium, fibre, magnesium, and calcium. The Dietary Approaches to Stop Hypertension (DASH) diet is a set of guidelines which has been shown to help manage hypertension. The DASH diet includes a wide assortment of healthy foods and is similar to the Mediterranean diet. 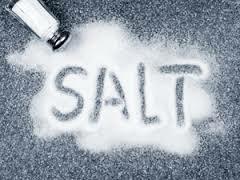 Time and again, studies have shown a link between dietary sodium (salt) and high blood pressure. The more salt in your diet, the more likely you are to suffer from high blood pressure. For a number of people, a low-sodium diet is enough to maintain a healthy blood pressure. Packaged and processed foods are often high in salt, even if they don’t taste that way. Foods cooked from scratch tend to be much lower in sodium. And steer clear of salt shakers—you shouldn’t be adding extra salt to your food. Physical activity is essential if you want to prevent hypertension or lower your blood pressure. Every little bit helps. Start small, with bouts of activity in 15- or 30-minute sessions several times a week. Eventually, you should be getting at least 150 minutes of aerobic activity per week. Moderate aerobic exercise includes activities such as brisk walking, swimming, cycling, and jogging. But exercise can also take the form of everyday chores and tasks, such as mowing the lawn, walking the dog, cleaning the house, or working in the garden. Drinking too much can contribute to high blood pressure. Consuming more than three drinks in a single sitting can cause your blood pressure to temporarily spike, and binge drinking on a regular basis can ultimately lead to long-term increases in blood pressure. If you’re a heavy drinker, you should cut back slowly on how much you drink over a period of one or two weeks. Going cold turkey can result in severe hypertension for several days after you quit. If you have high blood pressure, you should avoid alcohol altogether or drink in moderation. For women, that means one drink a day. For men under the age of 65, that means two drinks per day. Men older than 65 should stick to one drink per day. 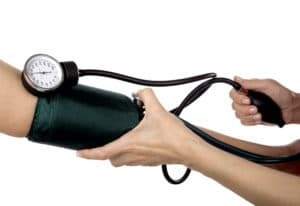 Finally, monitoring your blood pressure on a regular basis is one of the simplest ways to understand whether you’re in the healthy range or not. You can have your blood pressure measured at home, at a pharmacy or clinic, or at your doctor’s office. Remember that hypertension often doesn’t have symptoms, so a reading is the only way to understand if your blood pressure is within a healthy range or on the rise.